When you test your hay or corn stalks or cover crop for nitrates, look closely at the report to see what method your lab used to report your nitrate results. Photo credit Troy Walz. I just got the forage test results back from the lab and the nitrate score was 3,000. Am I in trouble? Why is it important to know the difference between nitrate nitrogen and nitrates? Well, using the example above, if the score was 3,000 parts per million of nitrate nitrogen, then the forage may have a nitrate concentration that is almost 50 percent higher than what we often consider to be the potentially toxic level for nitrate nitrogen. 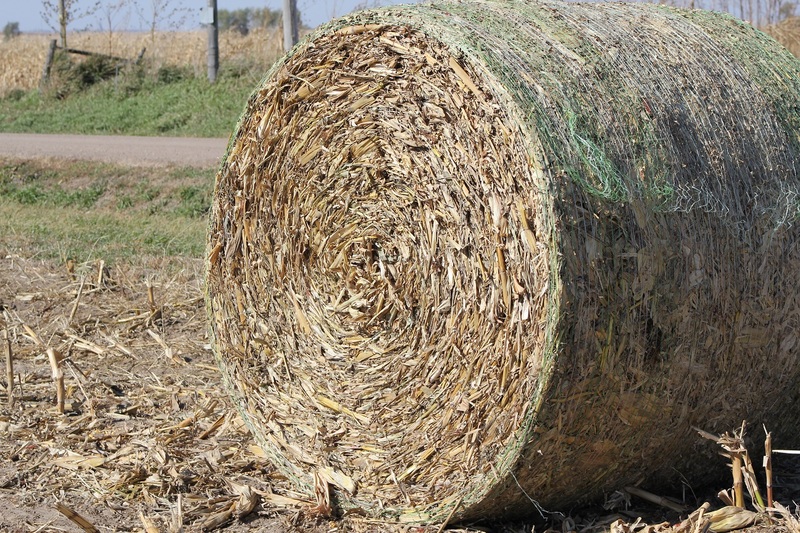 It would be risky for cattle to eat this forage without taking some precautions. However, if the score was 3,000 parts per million of nitrate there should be no worries since this is less than one-third the danger level for nitrates. So the same score or value can range from quite dangerous to perfectly safe depending on how it is reported. So what is the reason for these big differences? Basically, it comes down to how each individual laboratory tests for and then reports results for nitrates. When a laboratory reports directly the concentration of nitrate, it is referring specifically to the nitrate ion, which is designated chemically as NO3-. Most labs and advisors consider a level of 9,000 to 10,000 parts per million of the nitrate ion to be the level where toxicity concerns begin. Some labs, though, report the amount of nitrogen that is in the nitrate ion and call it nitrate nitrogen and report it chemically as NO3-N. Nitrate is one part nitrogen plus three parts oxygen so nitrogen only makes up about 22.6 percent on the nitrate ion. Thus, a much smaller amount of nitrate nitrogen is needed to produce the same effect as the entire nitrate ion. As a result, the danger level for nitrate nitrogen begins somewhere between 2,000 and 2,300. Next time you test your hay or corn stalks or cover crop for nitrates, look closely at the report to see what method your lab used to report your nitrate results. Then, if you want to talk with someone about the safety or feeding alternatives for your forage you can be sure both of you are talking the same language.